Serums are a great way to boost the benefits of your skincare regime, whether they be rejuvenating, repairing, protecting properties and should be the best friend for anyone looking to get the most out of anti-aging benefits. Serums are usually water based and should be the first product applied to allow first absorption and to prep skin. It also acts to draw other skincare products deeper into the skin's epidermis layer to boosters your other skincare products effects (rule of thum: apply the lightest most fluid product onto skin first before layering any other richer, heavy products on top or not all products will be absorbed into skin). The lastest in the line up of serum is from luxury brand YSL, who in celebration of its 10 year anniversary, have come up with an advanced high-tech formula to complete its renowned anti-aging Temps Majeur collection. Contains double the concentration of star ingredient Ganoderma Lucidum – the mushroom of eternal youth when compared to its predecessor serum. This magical mushroom is renowned in the Asian culture (where it's known in Chinese as ling-zhi or 靈芝) for the last two millennia is known as the elixir of life for its regenerative properties and therapeutic benefits. A silky light fluid that is freshly fragranced, it is instantly absorbed into skin and leaves skin very hydrated without any stickiness. Over times helps with cellular regeneration and rejuvenation to give radiant skin and for a glowing face. Leaves skin baby soft and firmer to touch. Suitable for all skin types, it helps to strengthen the skin barrier and smooth out skin – especially under the eye area where crepiness has reduced in appearance. This serum is the quintessence of luxury and anti-aging with a price tag to match. If money was no object and you need to test out a new fountain of youth, YSL Temps Majeur offers you this concentrated serum that will surely delight. I will enjoy every pump of my bottle and will be saddened the day it runs out. Do you use serums as part of your skincare? What do you use? 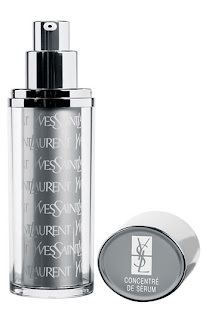 RRP A$375/US$225 for 30ml at YSL counters now.